Well. Given my propensity for road rage, this should be interesting. This entry was posted in Everyday Musings and tagged humor, just for fun. Bookmark the permalink. I plan on a gentle descent into the dirt’s welcoming embrace–it’s an quick step from here to oblivion. 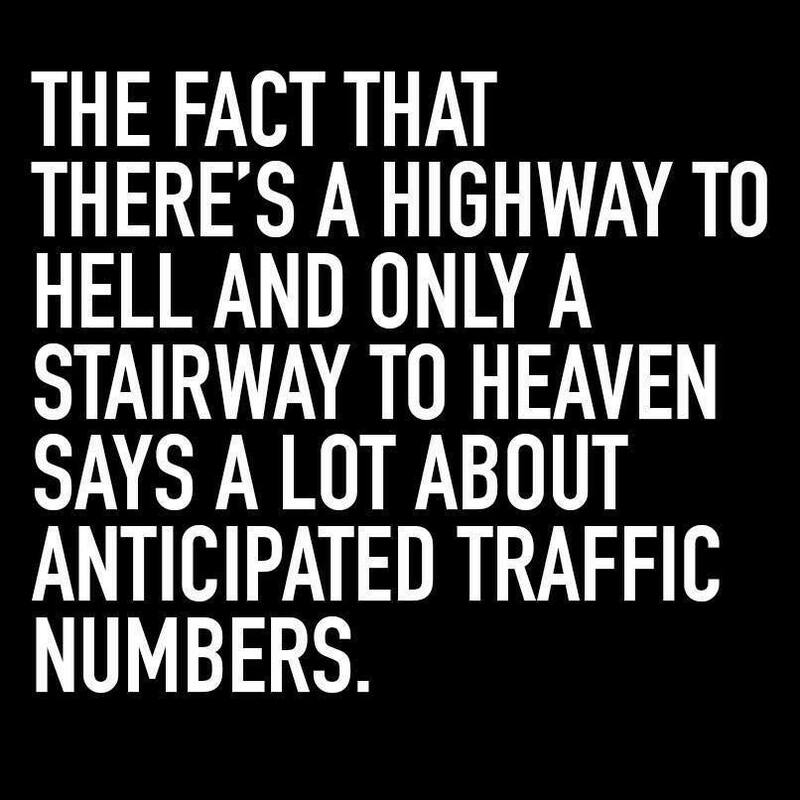 I have no doubt where I’ll be going (it’s where all my friends will be) and when I see that 100-lane, 10,000-car pileup clogging up the route, you can bet I’ll be waving and looking for you!